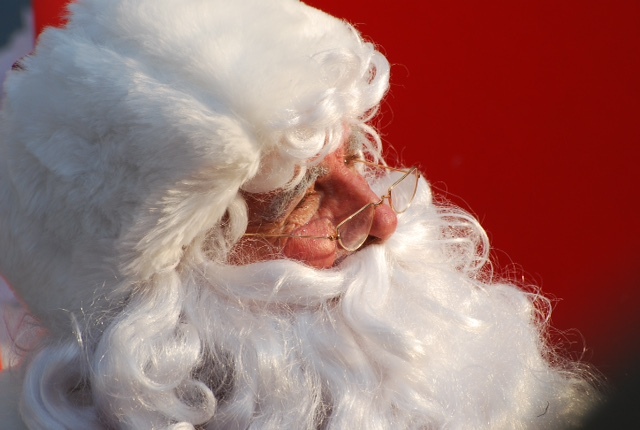 Hogarth have a number of different Christmas characters to keep you entertained in the festive season. Extremely high quality handmade costumes in beautiful rich velvet, authentic leather belts and boots. 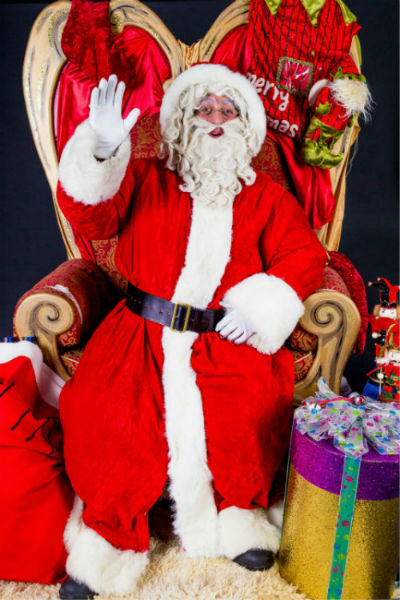 Fully DBS checked, our Father Christmases can work in a grotto environment or as meet and greet, mix and mingle and as presenters or story tellers. 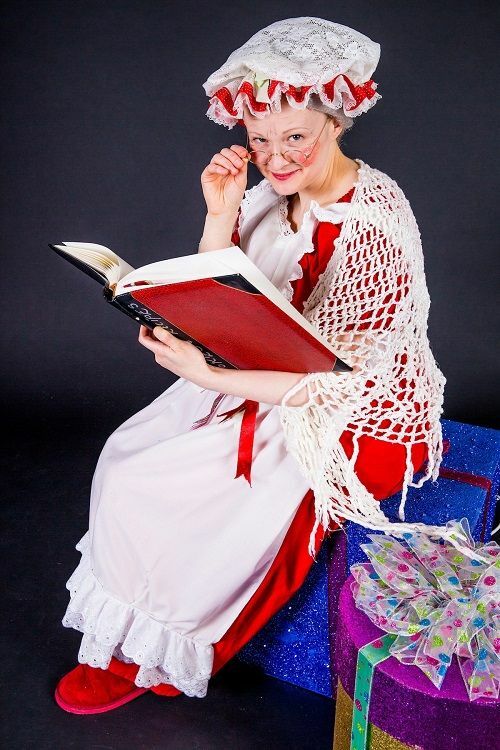 Extremely high quality handmade costumes, Mrs C can work as a walkabout / meet and greet character, or as a story teller. Specific stories can be created, using handmade props and specially created music sound tracks. Fully DBS checked. 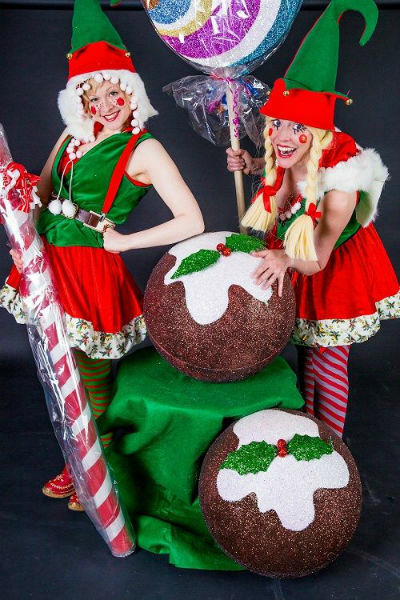 Traditional elves in handmade unique costumes. 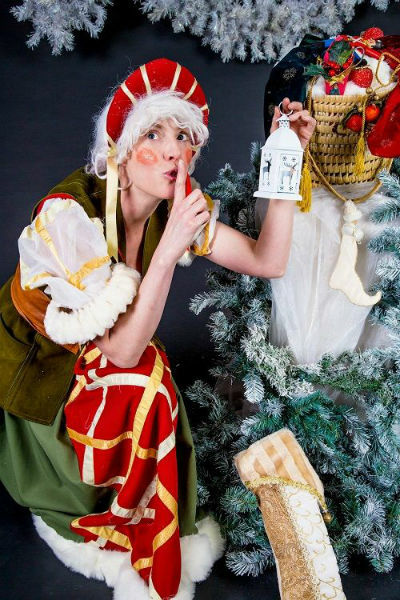 These actors can run making workshops, storytelling, assist with Father Christmas and create games to entertain the kids. Fully DBS checked. Perfect for a winter themed party, these two statues can appear on their own or together. They come complete with stunning dresses, body make up specific lighting and can be positioned on plinths. Classic winter themed living statue that can be situated on a plinth or as a walkabout character. Handmade and hand painted costume that will create a stunning impact.